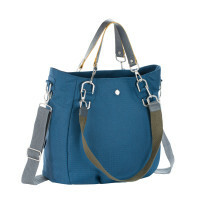 The Mix 'n Match diaper bag denim blue is made of recycled polyester. 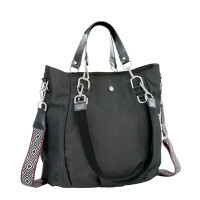 A real eye catcher is the high-quality guitar strap in exciting ethno patterns. Product information "Green Label Mix 'n Match Diaper Bag, Denim Blue"
description & equipment Let's rock! 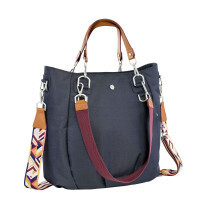 The popular Mix 'n Match denim diaper bag has parents excited about its trendy fabric in blue and black jeans colors with an additional high-quality guitar strap made of PU leather in exciting ethno patterns. The bags are not only distinguished by their high-quality processing and their excellent design – the design prize winner also scores with its sustainable material. 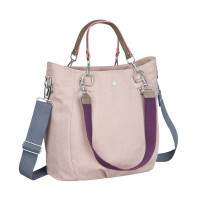 The outer material of the bags is made of recycled polyester RePET®, which is made from recycled plastic bottles. 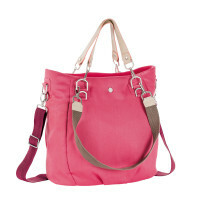 The bag also provides versatility. 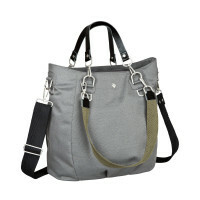 It features a total of three carry options, hand-held, carried as a shoulder bag or worn across the body.